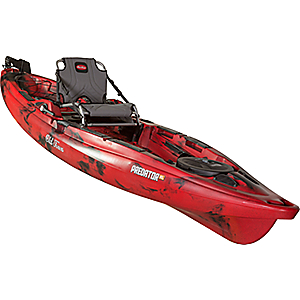 A sit-on-top angling kayak that's awesome for freshwater and saltwater fishing! 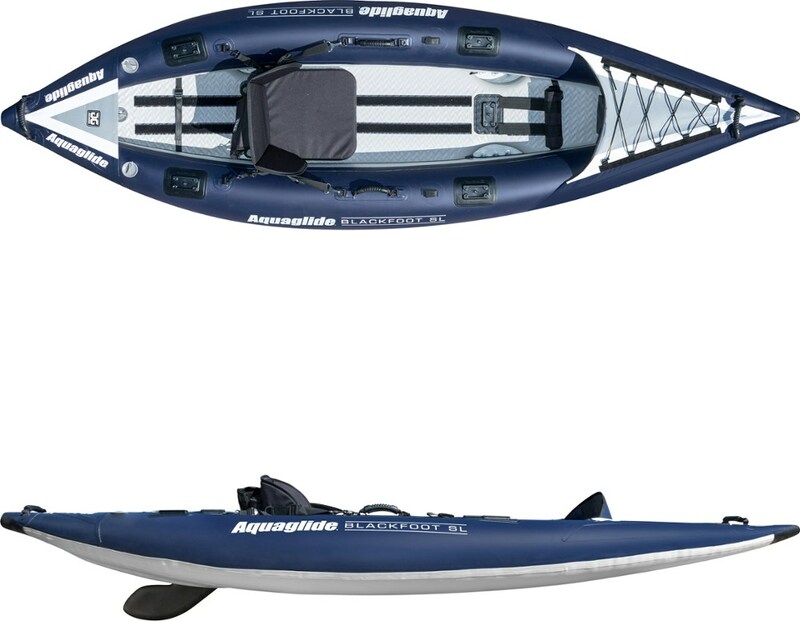 This kayak glides through the water! 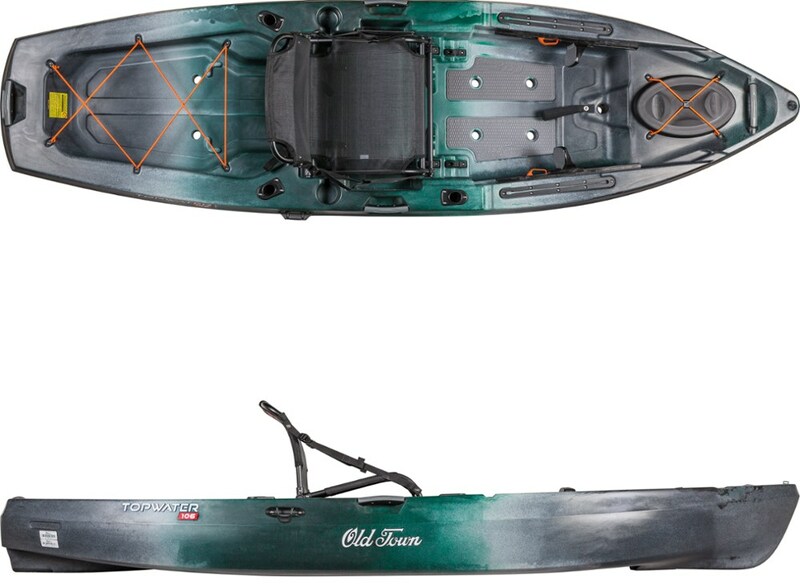 It gives you the ability to set a line out and troll while you paddle down stream or drop anchor and stand up and cast into the weeds for that big bite. 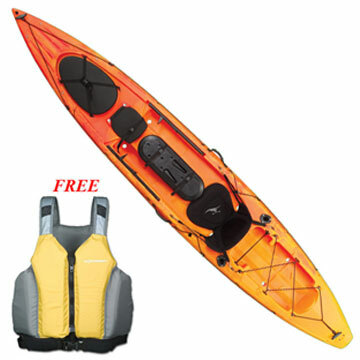 The seat is perfectly comfy enough to paddle for numerous hours getting to your favorite spot and can be easily adjusted while sitting in it. 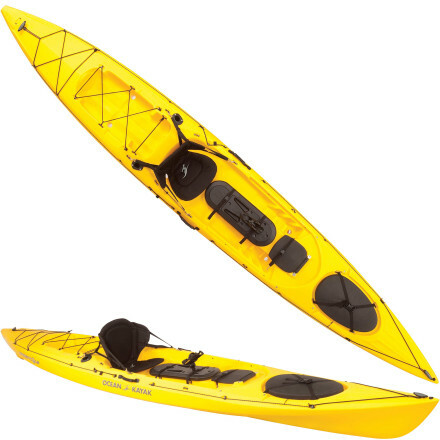 It has adjustable foot peddles for tall or short people and the "mod pod" is a great exclusive to only the Ocean Kayak brand (I have only seen it on the Ocean Kayaks). It's a water tight lid that closes on the main opening to the hull and has specially made holes to fit Scotty fishing attachments as soon as you get it. One cool thing that this kayak has is a spot designed to hold depth sounders and right next to it is a scupper hole (self drain water hole) that is made to fit a transducer so it sits flush against the bottom of the kayak. The rear tankwell is big enough to store a tackle box or two and has bungee cords on it to help hold any valuables. In there are also 2 rear flush mounted rod holders behind the seat. These are more for transporting rods that aren't being used. So far they're great, hold the rods in place even in some wavy water. 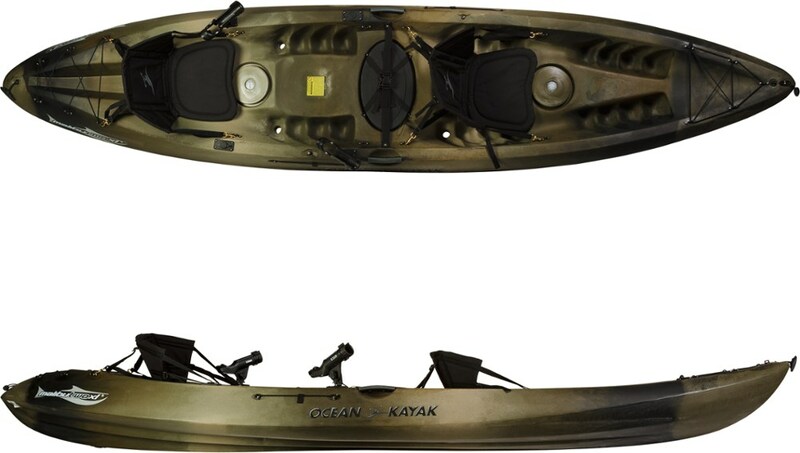 Every price of the kayak seems to be tough and I believe it should last me for how ever long I want it to. Although I might replace the side handles because I have heard that they break off with extended use but other then that I am extremely happy with this investment and can't wait for summer to come back to Canada. I bought it new from Cabelas for $999.99. It was listed at $1,199.99 but the employees forgot to take the sale tag off when the sale ended so after a couple minutes of negotiation I got it for the sale price. 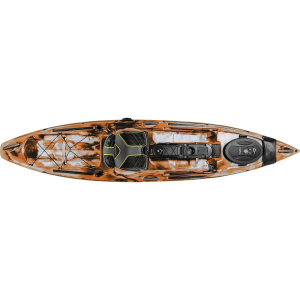 The Ocean Kayak Trident 13 Angler is not available from the stores we monitor. It was last seen July 9, 2013	at Outdoorplay.